If you have started a business or are thinking about starting one, then you will need to decide on a business structure. You can choose to create a limited company, work as a sole trader or a partnership. Each business structure varies, especially when it comes to accounts and the bookkeeping. Sole trader owners are classed as self-employed, therefore they have their own set of tax rules and regulations to adhere to. Keeping accounts of a business is incredibly important and it must be done right. 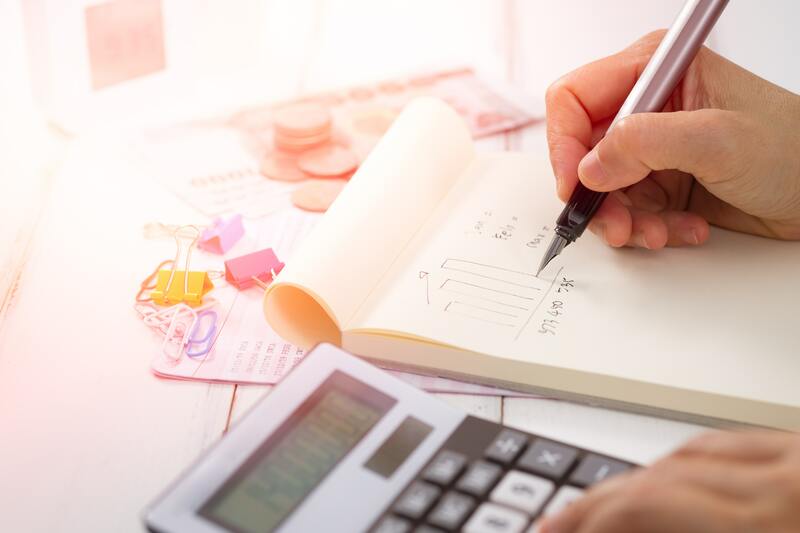 Here is our guide on sole trader accounts and bookkeeping, to help you get a good understanding of what it’s like to run your business as a sole trader. A sole trader and their business are considered one entity, therefore legally you don’t need to have a business account. However, it’s highly recommended that you create a business account and keep your personal account separate as it will be easier to deal with your business finances. There are multiple advantages to having a business account even if you are self-employed. The benefits include: being able to use a ‘trading as’ to make your business look professional, rather than using your own name, being able to easily identify business income and expenditure which also makes it easier to file your self-assessment tax return. When it comes to choosing the bank to open your business account with, make sure to look at the costs and features they offer. You will normally have to pay a fee for having a business bank account, whereas a personal account is free. However, the benefits of having a business account outweigh the small cost of having one. As a business owner, no matter what structure you adopt will need to know about the taxes that apply to you. It’s essential that you understand the tax rates and information for the self-employed. Here is all the important tax information that you need to know as a sole trader. The personal income allowance for the tax year 2018/19 is £11,850. This means that in the UK this amount of income won’t be taxed. Therefore, a sole trader will only have to pay tax on income above £11,850. There are also three tax bands, the basic, the higher rate and the upper rate. The basic rate band is 20% and applies to income up to £34,500. The upper rate band is 40% and applied to income from £34,500 to £150,000. The additional upper band is 45% and applies to income of £150,000 or above. Sole traders have to pay for class 2 NICs and Class 4 NICs. The best way to pay NICs is to set up a direct debit. The Class 2 NIC is payable at £2.95 per week and will need to paid by anyone who earns more than £6,205 whilst being self-employed during the tax year. Class 4 NICs are paid on the profits made by the self-employed. The Class 4 NICs rate is 9% on annual profits between £8,424 and £46,350. Then another additional 2% on profits above £46,350 per year. If a business’ turnover exceeds the VAT threshold within the tax year then it will need to register for VAT. The VAT threshold for the tax year 2018/19 is £85,000. More on the VAT threshold and registering for it. It’s incredibly important to keep a record of all the income and expenditure of a business. This will make the process of paying and dealing with taxes much smoother. Make sure that you keep all of your receipts and invoices so you are prepared when the self-assessment deadline comes around. There are even business apps that allow you to take a picture of your receipts, making it easier to keep a record without having the worry of losing your receipts. A business bank account can also help you keep track of your business expenses. Before you even start your business you will need to register for self-assessment with HMRC. They will provide you with log in details which will allow you to file your tax return when the deadline comes around (which is the 31st of January every year, for the previous tax year). For example for the tax year 2017/2018, you will need to pay for your taxes and National Insurance Contributions (NICs) by 31st January 2019. The tax year is from 6th April of every year to 5th April of the following year. Although the self-assessment tax return deadline is 31st January, you can pay your taxes any time after the end of the tax year. More on filing your self-assessment tax return for the self-employed. You can seek the help of an accountant if you struggle to deal with your taxes. There are multiple small business accountants that can help. More on claiming business expenses. In order to be able to pay your taxes when the self-assessment deadline comes round, you need to put a certain amount away every month. It is recommended that you put away at least 20% of your income away to pay your taxes. This will make paying the tax bill more manageable. To be able to effectively deal with taxes and pay them on time, preparation is key. If you struggle to get to grips with taxes and sole trader accounts, then you might also consider investing in bookkeeping software. Bookkeeping software, especially online accounting software can help you deal with tax brackets and give you guidance on multiple parts of sole trader’s taxes such as: invoicing, quotes, VAT reports, bank reconciliation and income/expenses. Leaving everything to last minute – it’s essential that you prepare and put away a sum each month to pay for your taxes. One account – open a business account to avoid getting your personal and business finances mixed up. Not keeping the receipts – you may think that the receipts for coffee with clients may not be worth keeping, but these small expenditures can add up. Bank reconciliation – is when you check all your incomings and outgoings of your account to ensure that everything is as it should be. This needs to be a regular occurrence. More on sole trader taxes and getting a business account.